Halloween is right around the corner! Nothing adds to the spooky atmosphere of the season more than the right fog machine. 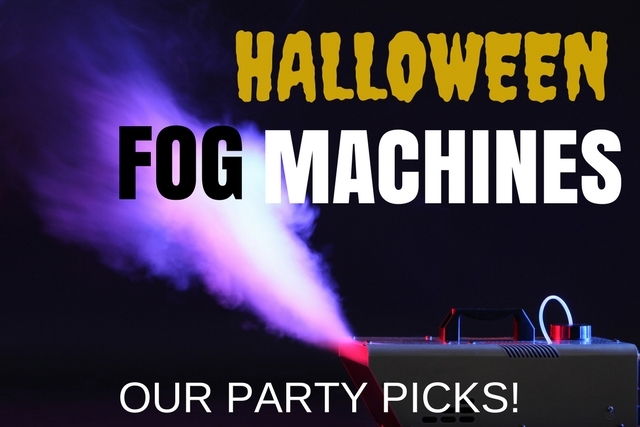 Take things up a notch this October and check out our top list of Halloween fog machines! Find the fogger that achieves what you want, at the price you want. To help out, we’ve also reviewed the best fog machine fluids so you get the most out of your fogger – click here to view. Looking to pull off an awesome fog effect? Perfect. We’ve reviewed virtually every category of fogger to make things easy. Whether you’re looking for low-lying fog, haze, or super thick high-density fog that fills a room, we cover the pros and cons of each fog machine so you can make an educated decision. See each machine in action by watching review and product videos. This page is a quick-reference overview of our top picks. For more in-depth reviews of each product, just follow the links below.